Give your table an extra festive touch this year with the beautiful Winter Twist Table Runner! 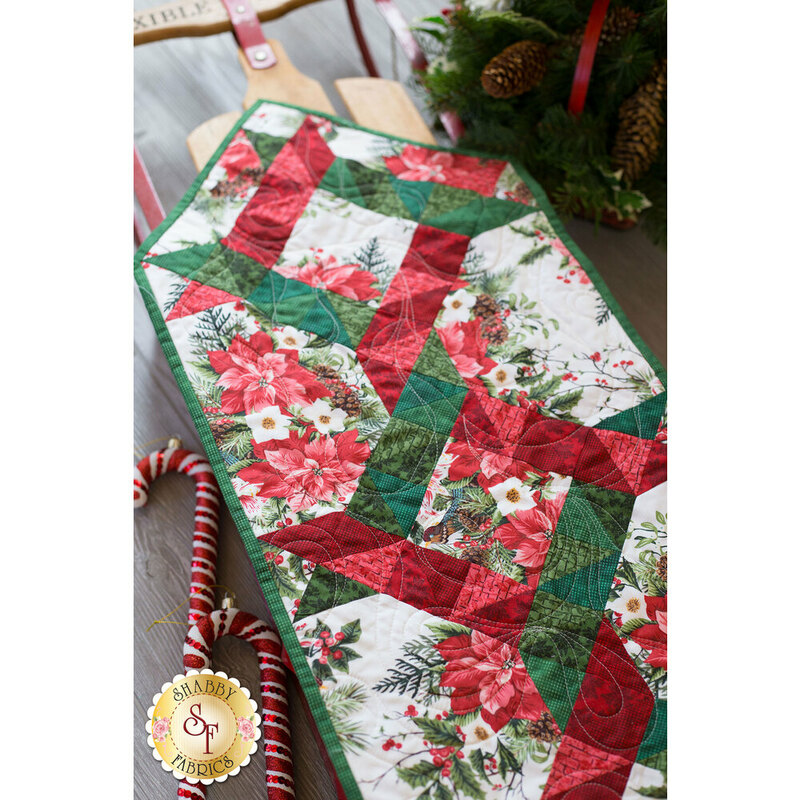 This runner features stunning shades of reds and greens, surrounded by beautifully illustrated poinsettias. Table Runner finishes to approximately 14½" x 40". 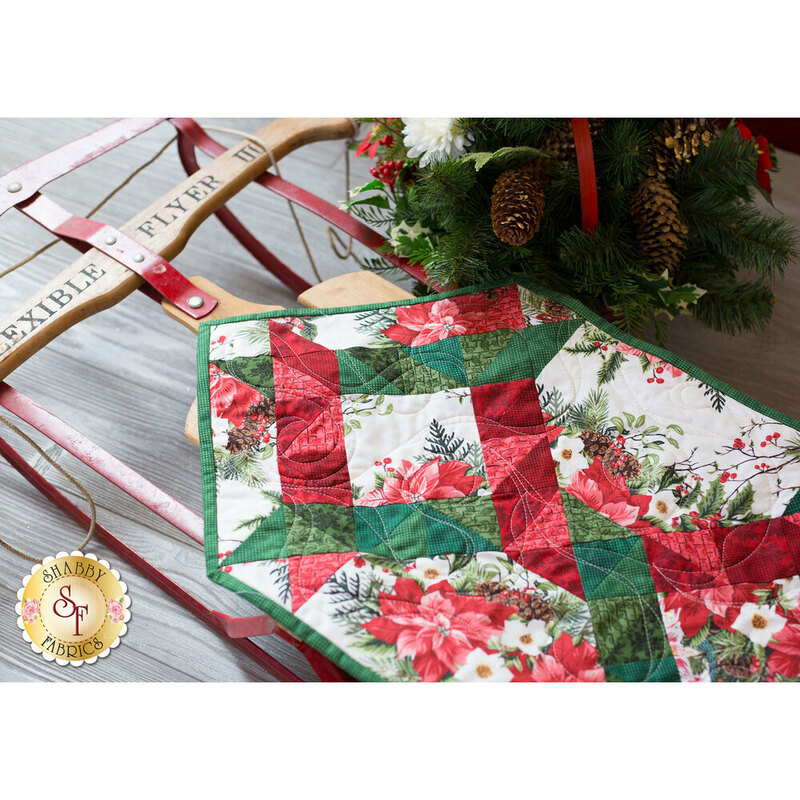 A beautiful coordinating Winter Twist Quilt Kit and Winter Twist Kaleidoscope Quilt Kit are also available! This kit includes all top fabrics including borders and binding as well as a coordinating backing! 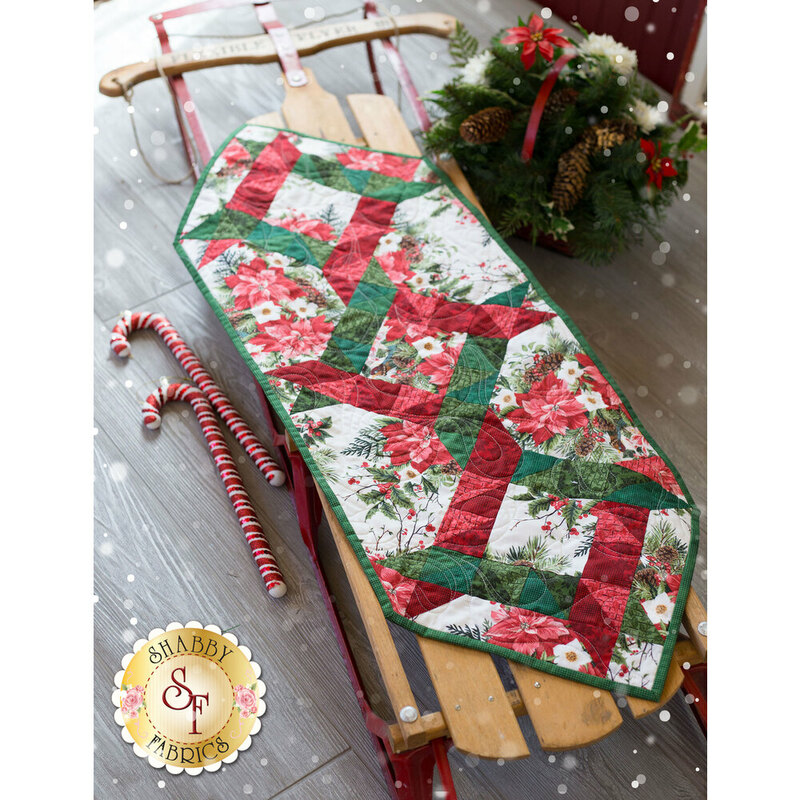 You must have The Winter Twist Quilt Book to complete this table runner! The Winter Twist Quilt book contains the pattern for this project, as well as the pattern for the Winter Twist Quilt. If you already own the book, we offer the option to order the kit without the book. Add the Creative Grids 4½" x 8½" Quilt Ruler and the Olfa Spinning Rotary Mat 12'' x 12" for help with precision measuring and cutting your fabrics!